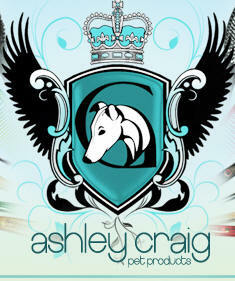 Ashley Craig have custom designed a range Greyhound Brushes with your comfort in mind. The pad has a minute custom design, barely visible, which will give a little tension to the hair, holding it when styling. The unique handle has been constructed so your hand will fit comfortably anywhere along it. Regardless of your hand size this handle will be suitable for everyone. The additional length has counter balanced the head, giving the brush a lighter feel. Finished in our signature gray and silver epoxy coating, making this item water resistant and silky to the touch. 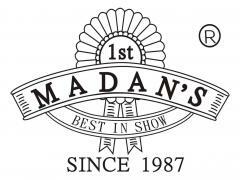 Madan pin brushes were created & designed by International Show Judge, Mr. William Lee. They are constructed with a patented design to prevent the pins from pulling out or pushing in. 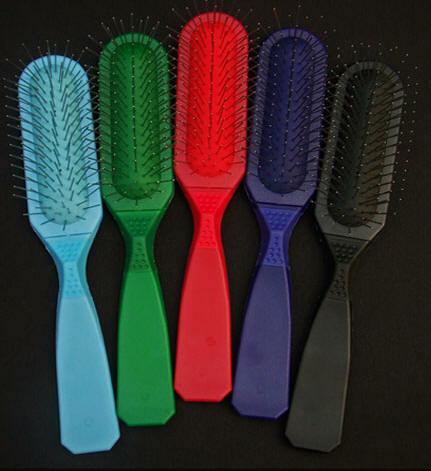 Due to the special design, the rubber base stays attached to the brushes solidly. There are two holes in the middle of the cushion, allowing air to flow in the cushion/ The handle is made of special ABS, with Silicon rubber, following a Kinesiology design to prevent professional damage. Great for taking in the ring !! 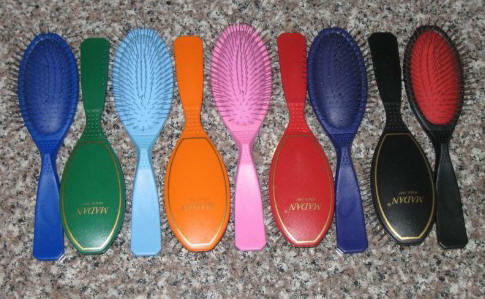 Yento brushes are the first professional brushes of their kind to be made especially for dogs. 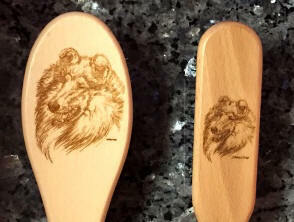 These brushes are of outstanding quality, using only the best pure natural boar hair bristles. The unique properties of the pure boar hair cleans while brushing, leaving the coat with a healthy, natural shine. Yento pure bristle with nylon is especially designed for long and thicker coats. The nylon strands aid penetration in denser hair such as bearded collies and Tibetan terriers. All Yento brushes are manufactured to exacting standards by experienced craftsmen and are guaranteed for one year from the date of purchase. Available in Small, Medium, & Large. 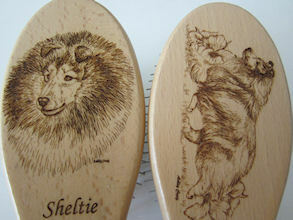 Yento brushes are the first professional brushes of their kind to be made especially for dogs. 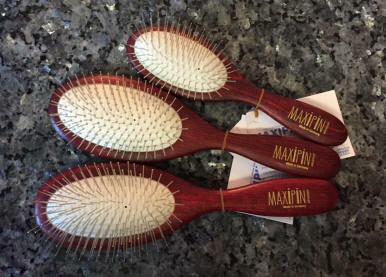 These brushes are of outstanding quality, using only the best pure natural boar hair bristles. The unique properties of the pure boar hair cleans while brushing, leaving the coat with a healthy, natural shine. Yento pure bristle is ideal for short or fine textured coats such as yorkshire terriers and maltese. All Yento brushes are manufactured to exacting standards by experienced craftsmen and are guaranteed for one year from the date of purchase. Available in Small, Medium, & Large.